These are all that remain of the castle raised in the late 1500's by Sir John Seton (treasurer of the household and Lord of Session under King James VI of Scots 1567-1625) on land originally owned by the Lyndsay family of nearby Byres castle. 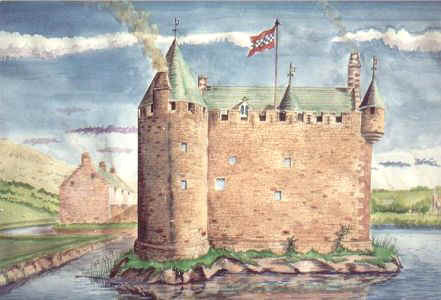 Locally the Lyndsays also held Luffness castle beside Aberlady and lands around Ormiston which the later signed over to the Cockburn family. 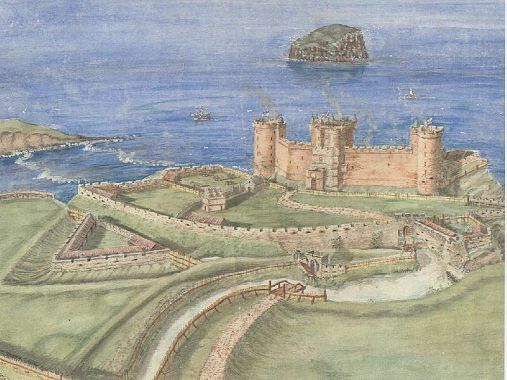 Though both these families in turn appear to have been vassal lords in subjection to the Dunbar family who held the majority of land throughout the Lothians with Dunbar castle as their principal residence. Garleton itself may well incorporate fabric from an earlier Lyndsay tower on site. Or may even include rubble taken from Byres castle. As Byres appears to have been dismantled by the English in 1548 to ensure the security of their 'Fortress of Haddingtoun' during the wars of the 'Rough Wooing' (1544-1550) where by use of castle sacking they hoped to force the marriage of the infant Mary Queen of Scots (1542-1567) to the English Prince Edward. 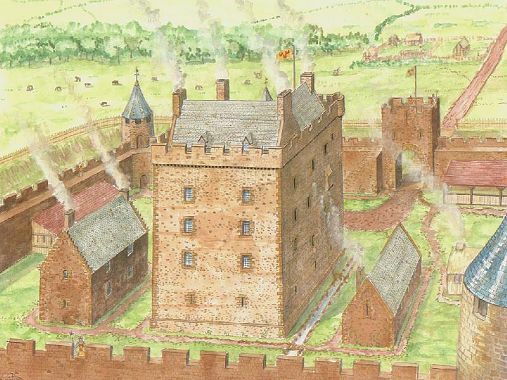 The Seton family also suffered during these times with the burning of Seton Palace, Seton Collegiate church and the destruction of their L-plan tower house of Winton castle by the English invaders in 1544. Today both Seton Palace and Winton have been replaced by modern buildings ie in the1700's and 1600's,although the base of the medieval L-plan tower is still held within the modern 1600's work at Winton. Garleton was built after 1550 and before Sir John Seton's death in 1594. 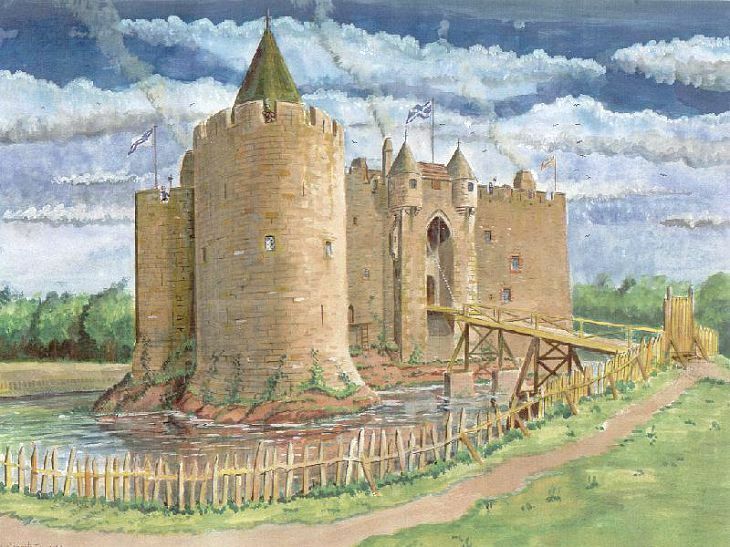 What is misleading about the castle's location today is it wasn't a lonely tower house. But one in a chain of towers that dotted the valley floor. 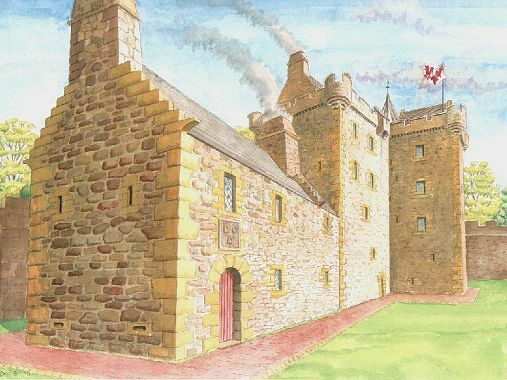 With Ballencrieff and Byres to the west, to the north sat Kilduff tower, to the east Athelstaneford tower and Markle castle with Barnes castle on the Garleton ridge also built by Sir John but it never got higher than vault level before his death. Indeed locally the ruin of Barnes is still known as 'the vaults'. 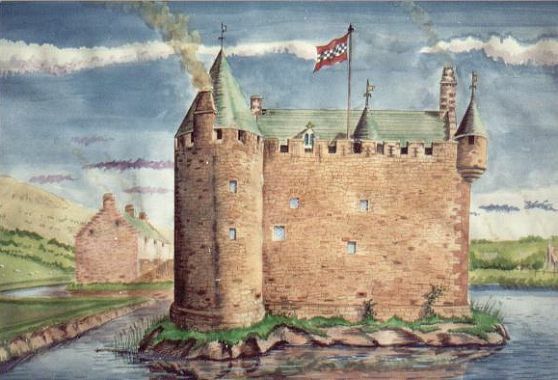 Kilduff tower and Athelstaneford tower have no traceable remains though a castle dove-cot is still around in the present village of Athelstaneford. 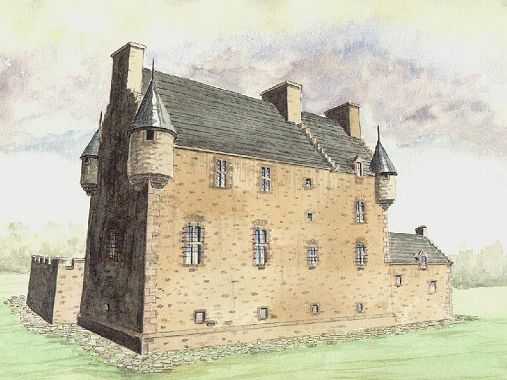 Garleton castle appears to have consisted of three main buildings of mixed rubble construction, a crowstepped gabled hall-house with cannon-loops on the south side,a possible L-plan tower house and a lean-to conical roofed drum tower also with cannon-loops on the north and east corners respectively. All attached together by a roughly oblong plan courtyard wall. The present south wall linking these buildings is obviously modern, lacking cannon-loops, deviating from the logical courtyard plan and hindering the fields of fire for the tower gunners. The west wing is completely obscured by the modern cottages but may well be the site of the courtyard gatehouse with outer bridge spanning that approach. 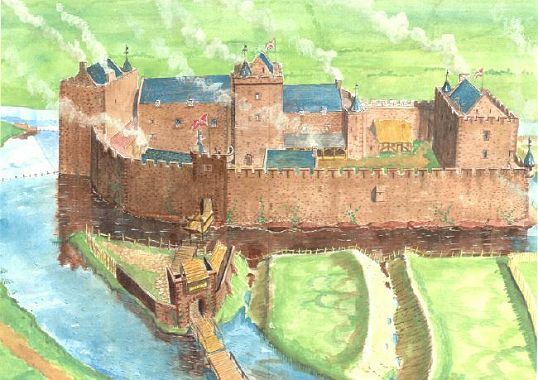 For defensive reasons the entire site would have been surrounded by a deep fortified ditch, thus allowing the castle gunners a clear field of fire in all directions. It is unclear wither these defenses were every put to the test. 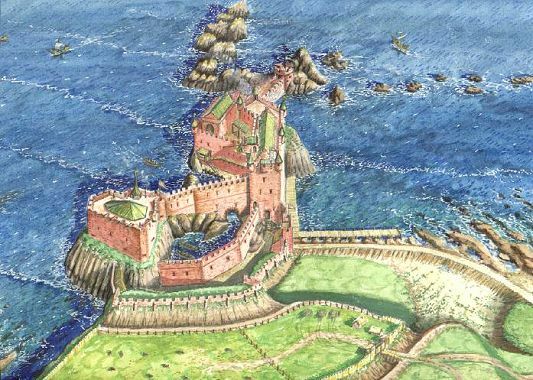 Certainly the castles of Innerwick, Hailes, Dirleton and Tantallon are all mentioned during Cromwell's sacking of Lothian castles after the defeat of the Scots army at the battle of Dunbar in 1650. His actions may explain the disappearance of Garleton's neighbours of Kilduff tower and Athelstaneford tower. In 1724 Garleton was sold to the Earl of Wemyss. The presence of the modern cottages on site highlights the common practice of Victorian builders to dismantle such ancient towers as Garleton viewing them as ready made quarries failing to appreciate their historical and architectural value.